We just released version 10.2.6 of 'ArcGIS Runtime for .NET SDK', which now supports 3D and KML files on both Windows Store 8.1, Windows Phone 8.1 and WPF. This means you can now quickly build 3D applications that supports all these platforms. 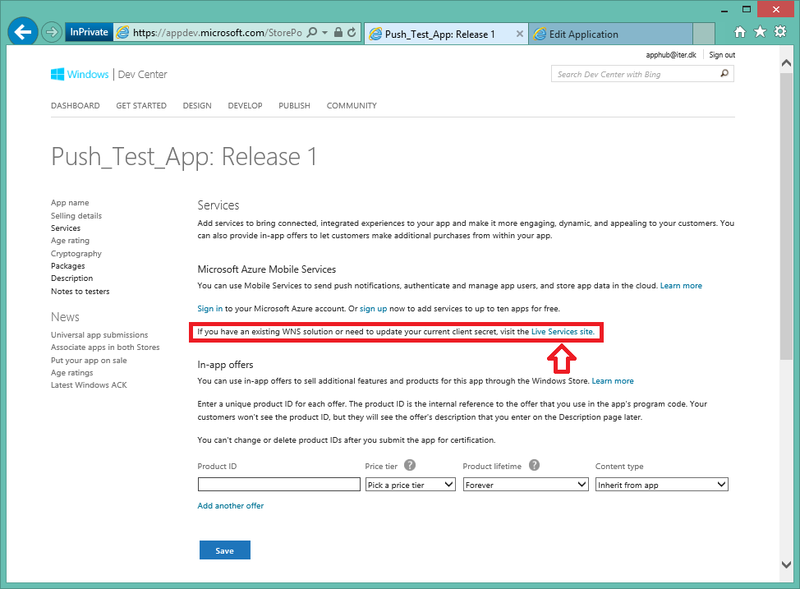 We also released the package on NuGet for your convenience. 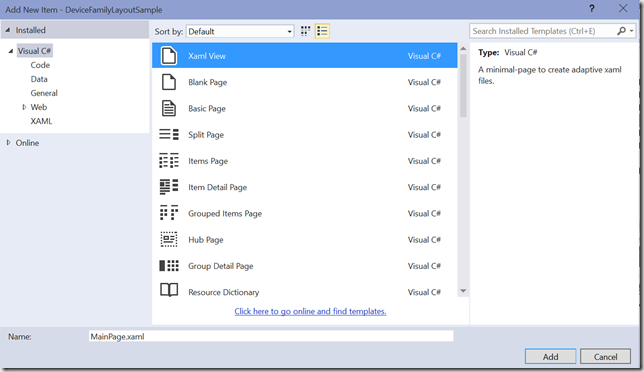 Disclaimer: This article is written based on Windows 10 Tech Preview – Build 10122. Things might change completely in the future. 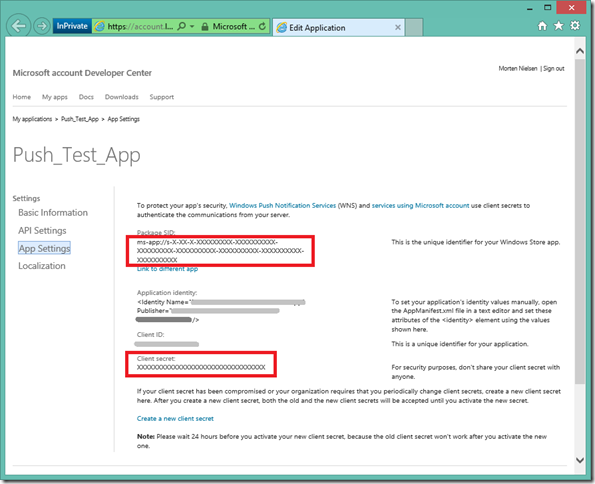 We can add this to our own apps but using the SystemNavigationManager’s AppViewBackButtonVisibility. 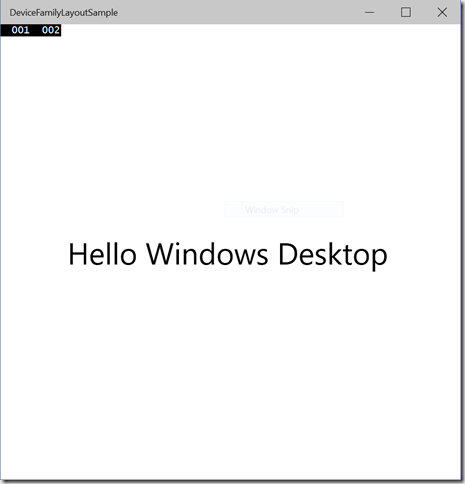 When you run this code you’ll now also see the exact same back button in your Windows UWP Desktop app! No need to waste precious screen real-estate when there’s room on the top bar. Now you get back button support in both desktop and phone apps when you can navigate back! Unfortunately the BackRequested and BackPressed event arguments are different, so you can’t reuse the same event handler for both. That’s quite a shame – I hope Microsoft will be cleaning that up soon. 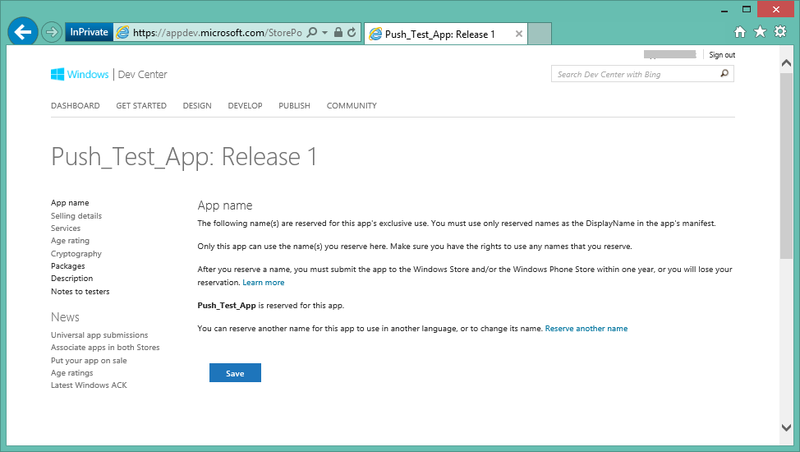 Disclaimer: This article is written based on Windows 10 Tech Preview – Build 10041. Things might change completely in the future. 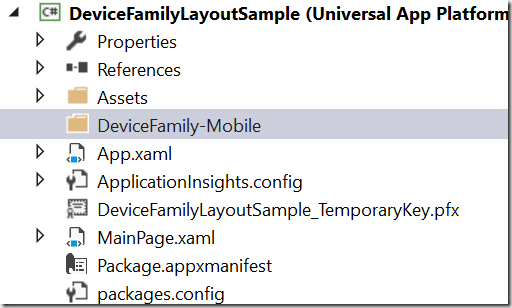 In an earlier post, I showed how to use a StateTrigger to adapt parts of your UI to a specific device family (Device families are: Windows Desktop, Windows Mobile, XBox, IoT etc). However if you want to do major differences in your UI, that’s probably not the most efficient way. 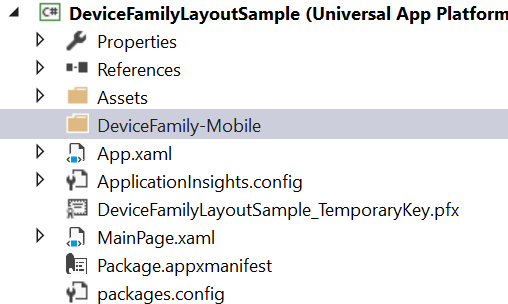 Windows 10 comes with a nice trick to use completely different XAML files based on the device family you’re running on. 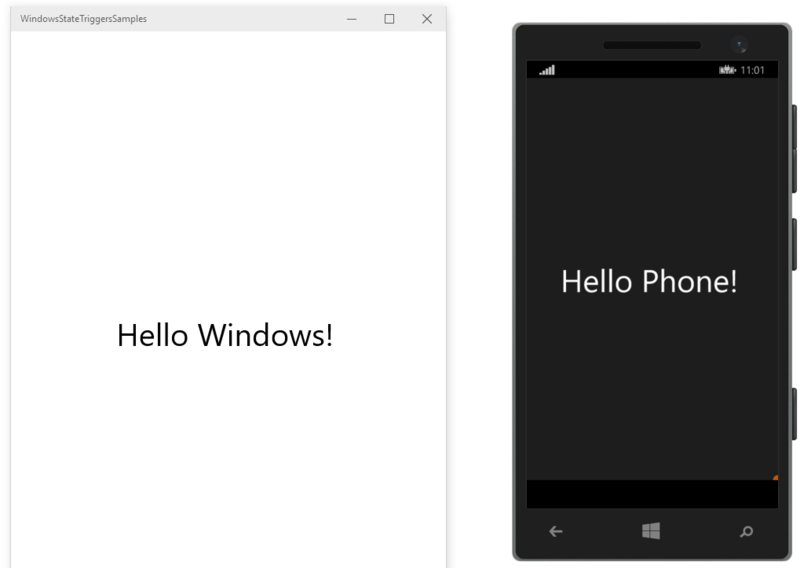 Now what we want to do is override the MainPage.xaml for Windows Phone and display a more correct message. 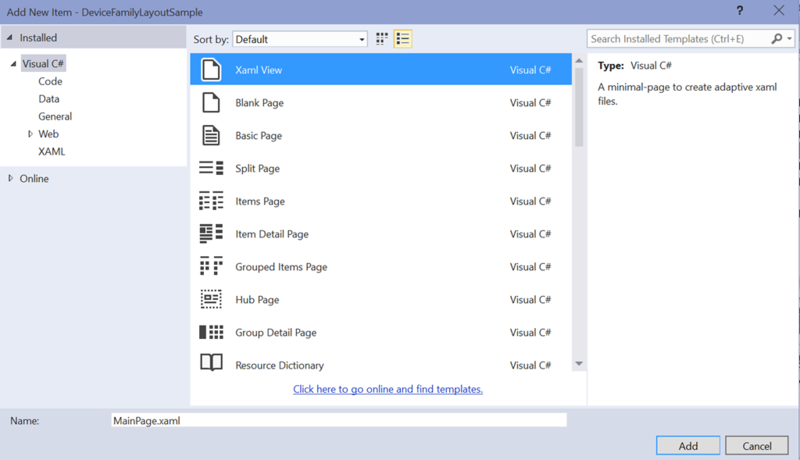 Pick “Xaml View” and change the name to “MainPage.xaml” This page is similar to a blank page; but is for overriding specific XAML pages – ie it doesn’t include the code behind, which you already have. So this method enables you to completely override the UI and adapt for the device family and maintain the same code-behind. 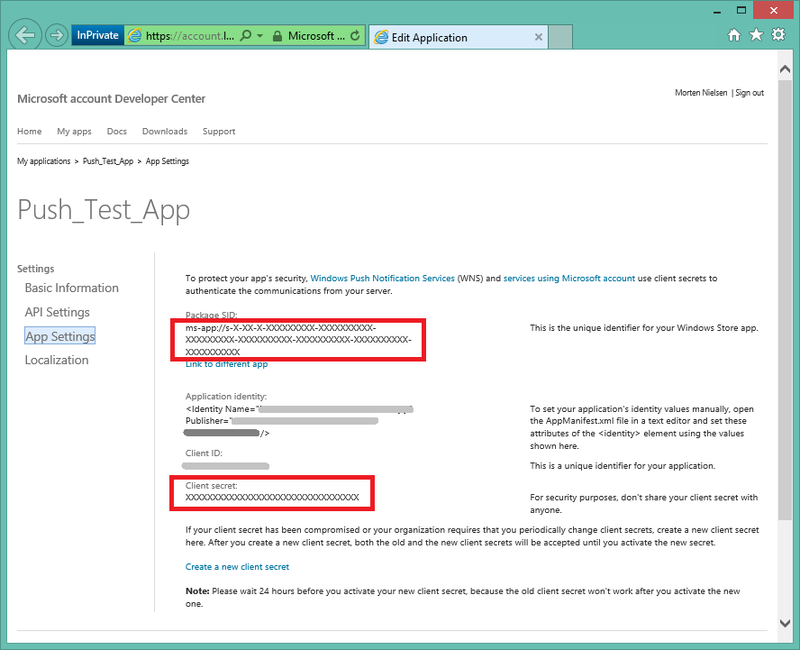 On Windows Phone Silverlight 8.0 it was possible to continue run an while the app wasn’t foregrounded. This was useful for Turn-by-turn or run-tracker type of apps. So even if you got a phone call or turned the screen off, the app would continue to run. 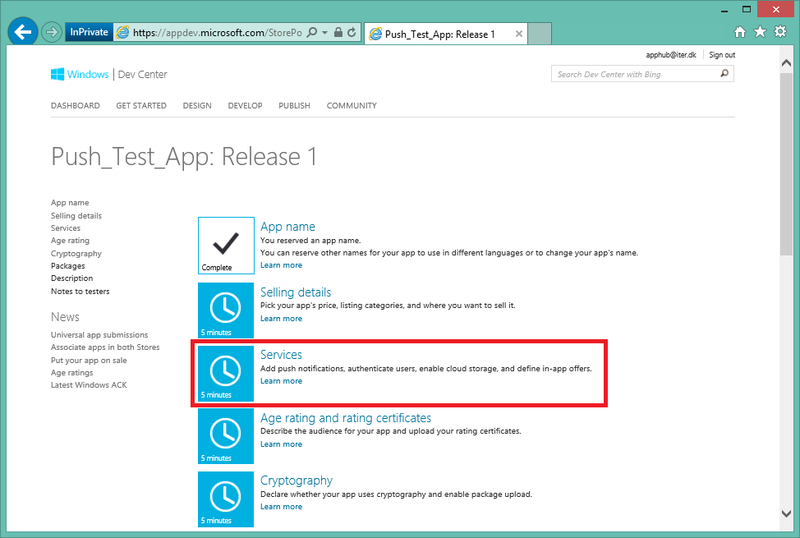 Unfortunately that functionality was removed (well not removed, but rejected in certification) from Windows Phone Silverlight 8.1, and it was never added to Windows Runtime apps. That meant you were pretty much stuck on Silverlight 8.0 if you were building any of these apps. However, in Windows 10 the functionality is finally here with the Windows Runtime! There’s not a lot of doc on it, and especially on phone it seems rather buggy, but I’ll try and explain the gist of it here. 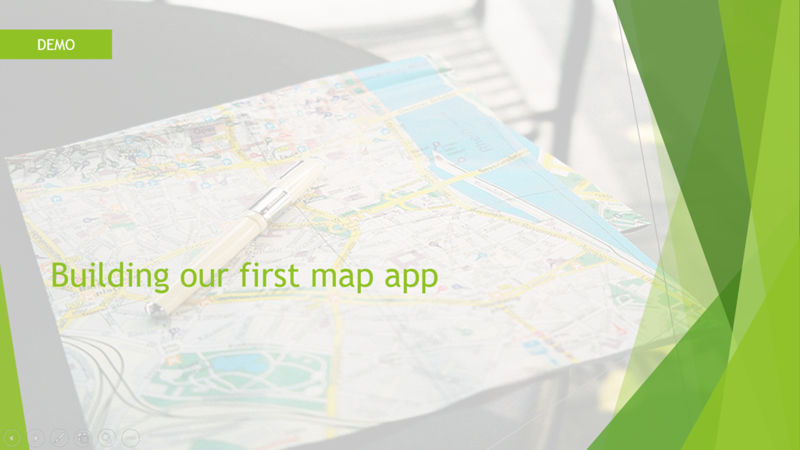 First let’s create a new app, and add some basic location tracking to it. args.Position.Coordinate.Point.Position.Latitude, //yeah it's this deep! When you run this app, you’ll start seeing coordinates getting added to the list about once every second. 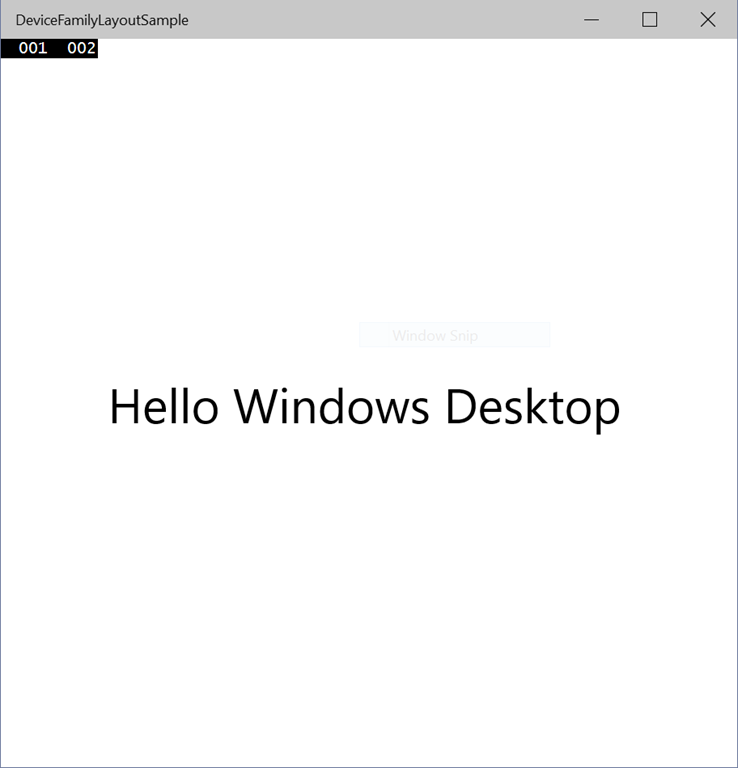 Now if you were to minimize the app (if you run as a desktop app – not a phone app), and return to the app, you might notice that the app still got coordinates added while it was minimized. That’s probably because you had the debugger attached. 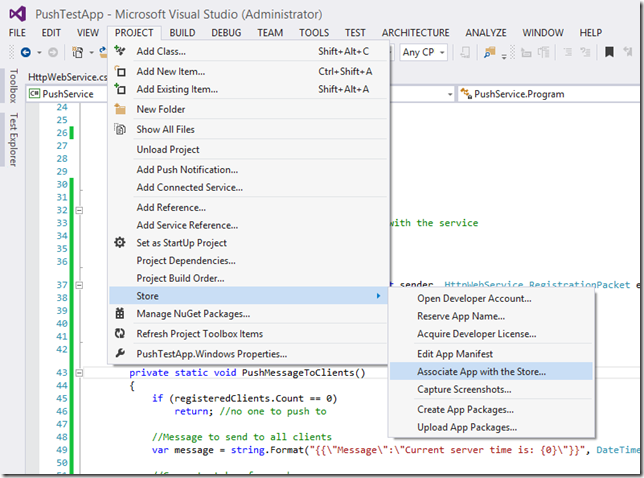 Try running the app without Visual Studio debugging, and you’ll notice the app will completely pause when it’s minimized. That means the app will stop tracking you if it’s not active. 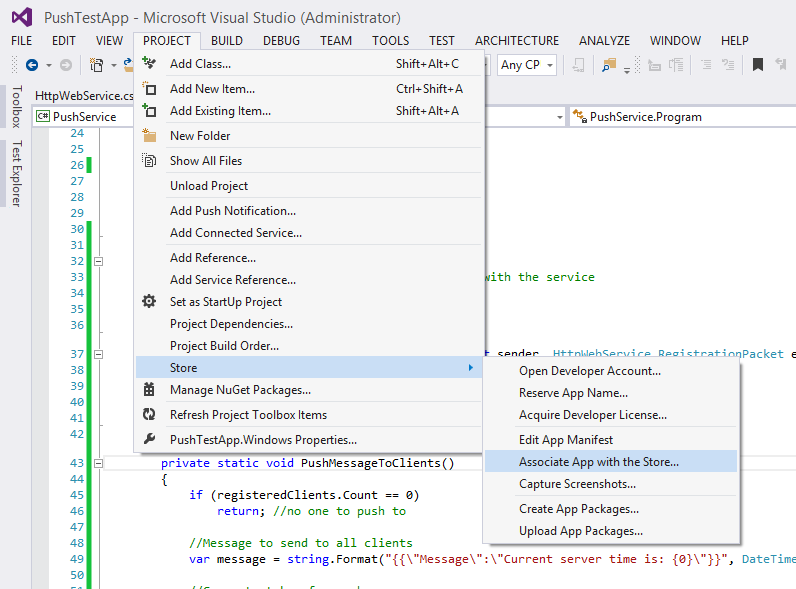 So first lesson: The Visual Studio debugger lies to you and prevents the app from suspending. 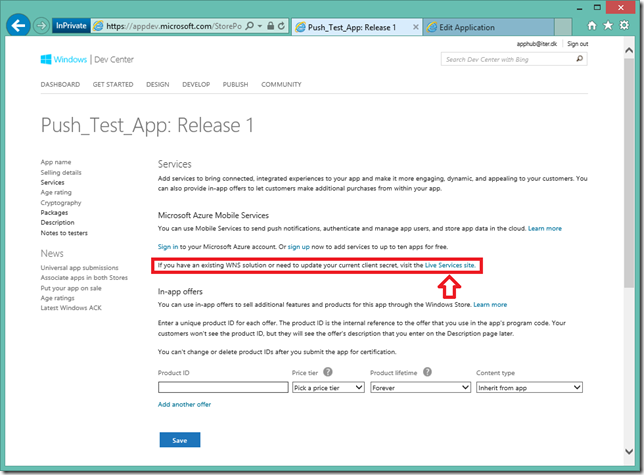 If we want to continue running the app while another app is active (or on a phone get an unexpected phone call), we now have a new “Extended Execution” session that we can start. This tells the app that we’d like to continue even if the app is backgrounded. 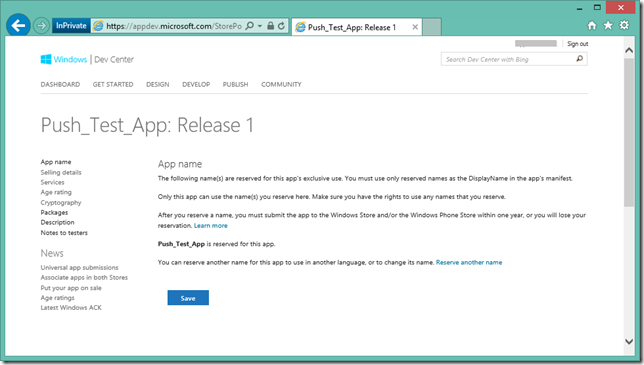 So you would usually call this API when you start running or doing your route. You would typically call this at the end of the run or when you reach your destination. The only piece we’re missing is the Revoked event – I’m not entirely sure when this fires (there’s no documentation available yet), but on the Windows Phone emulator it fires the moment you leave the app, so I haven’t been able to get this working there. 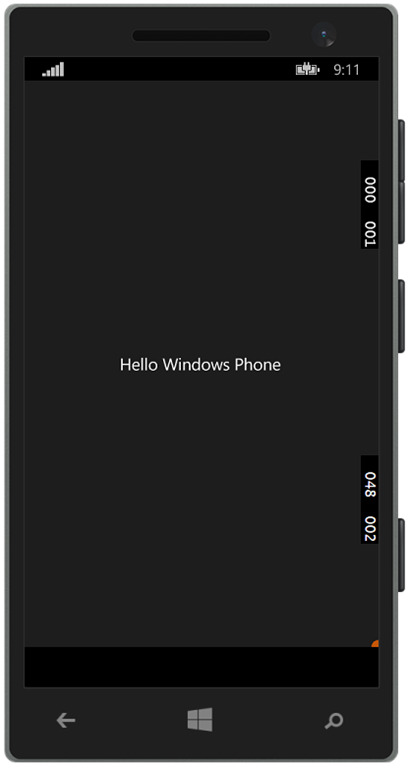 So the basic idea is that by using the AdaptiveTrigger, when the window gets small enough, switch to the phone/narrow UI. So on a phone it’ll probably always be this UI used. Pretty neat, and allows for a similar experience across devices, but adapt for bigger screens. When taking a closer look at the StateTriggers property, it takes a collection of ‘StateTrigger’, which is an abstract class that AdaptiveTrigger inherits from. So it stands to reason that perhaps we can create our own state triggers? IsTypePresentStateTrigger: Enabled/disable UI based on whether a certain API is available. 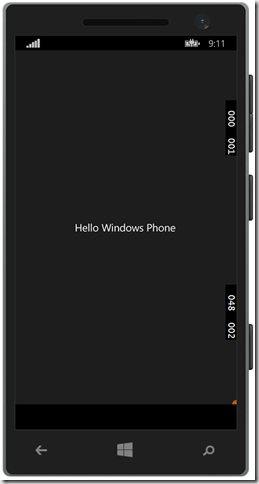 For instance if a hardware back button is present (usually Windows Phone), we can hide the back button from the UI, and free up some screen space. Now the next question is: Does these values support binding? 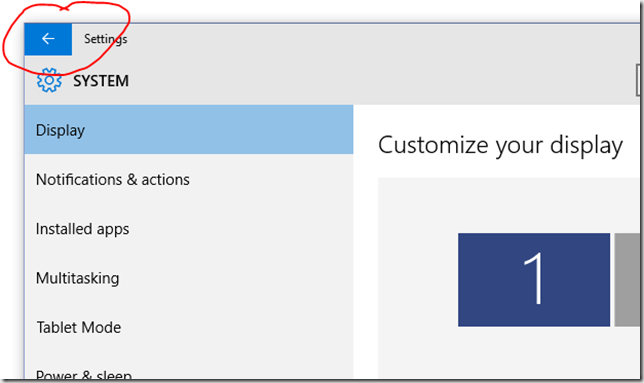 If they do, these triggers could be the new equivalent of WPF’s DataTriggers. So let’s create a simple data trigger that turns something on, based on a boolean. We can implement a simple IsTrueStateTrigger / IsFalseStateTrigger and just call the base method if the value we bound is true or not. Of course I could use a value converter for this as well, but this has a lot greater flexibility – a converter would have to be written to convert to Visible/Collapsed state, whereas this trigger can set any property to any value type. Got any more ideas for useful generic state triggers? Fork and make a pull request! 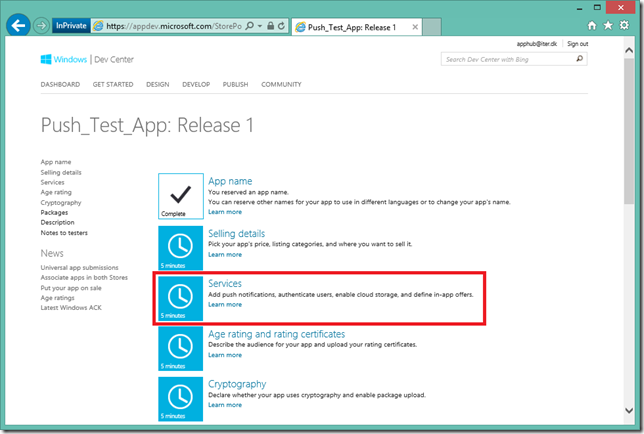 The fix seems simple: Just go in and add the doc comments, and problem is solved, right? Not really. The problem is any changes you make to this file is overwritten every time you build. So we need to tweak the file right after it’s being generated, but right before it’s being compiled, but who’s that fast? 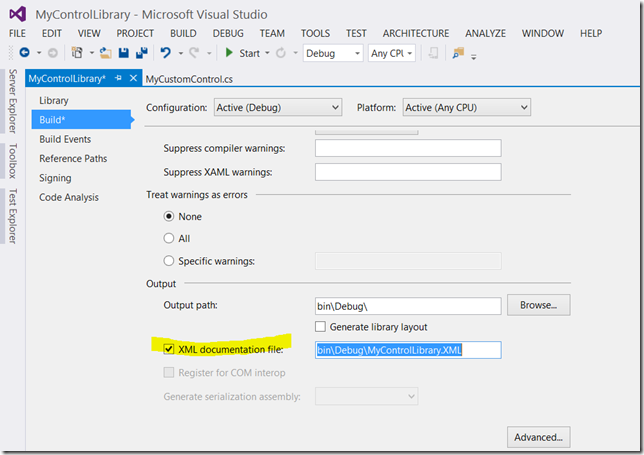 We can use a build task to do exactly that, and tell Visual Studio to let us know that its about to compile the code and fix it ourselves. What does this class do? Simple: It has one property: The folder where the intermediate files including XamlTypeInfo.g.cs is. It then opens the file to be modified, and first injects “#pragma warning disable 1591” at the header which disables doc warnings, and re-enables it again at the bottom. 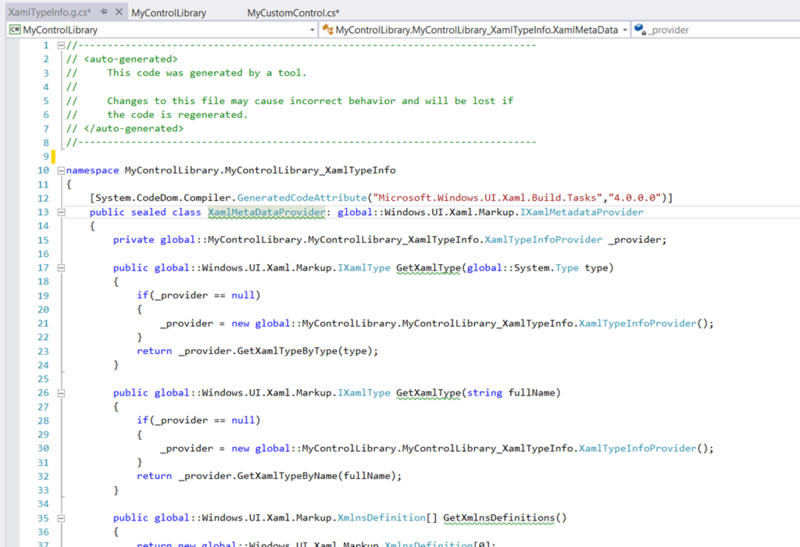 At the same time we hide the class from intellisense, by setting the EditorBrowsable attribute on the class. This doesn’t really remove the class from the assembly – it just tells Visual Studio to skip showing this for intellisense. This tells the project to run this before the compilation after the markup has been processed. 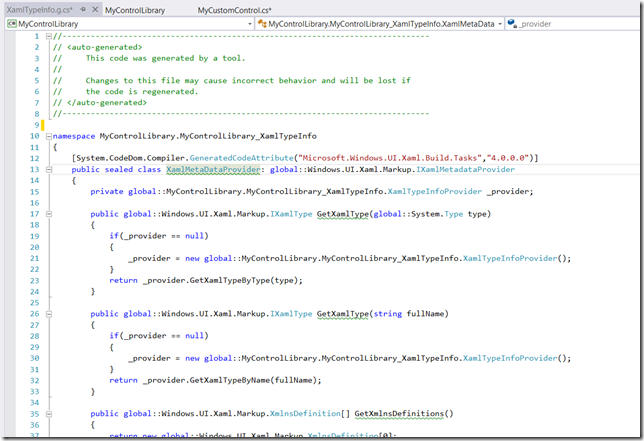 It also sets the IntermediateOutputPath property on our build task, so the build task can find the file. Naturally this is a bit of a pain having to set up over and over again. So unless you ever have to do a similar build task, you can forget everything you just read (sorry ), and just use the Nuget package I created that’ll do all this for you. 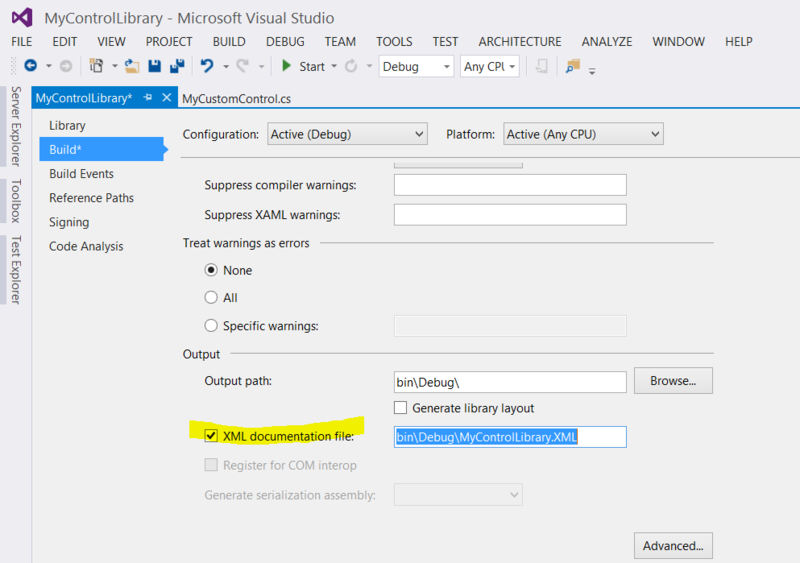 Simply add a reference to this nuget package, and the build task dll is downloaded and the .targets file auto-referenced. Today I did a presentation at the DVLUP Day in San Diego how to use the ArcGIS Runtime to build great mapping apps on your Windows Phone.